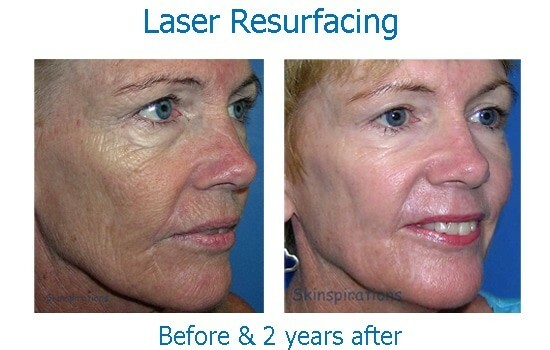 Ablative laser resurfacing uses the energy produced by certain types of lasers to vaporize or ablate skin, and can be done by either removing the entire surface, such as in full field resurfacing, or just a fraction of the surface, such as with fractionated lasers like our Profractional. 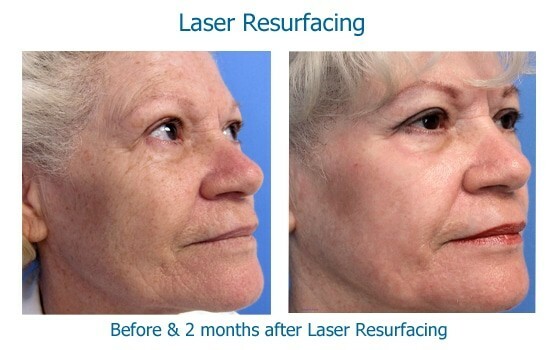 Deep full field ablative laser resurfacing produces dramatic improvement in fine lines, sun damage and texture, with just one treatment, but is associated with more downtime, discomfort and risks than fractionated laser treatments. Our Sciton Joule erbium laser is strong enough to be able to provide the same results as a deep CO2 laser resurfacing but with less of the risks associated with CO2 lasers, like scarring or loss of pigment. Obviously with aggressive treatments like these, it's important to have it done by a skilled, experienced doctor, and Dr. Elliott has been providing laser resurfacing treatments since 2007. Because ablative fractionated laser treatments of some areas can produce results as impressive as those seen with full field resurfacing, with less discomfort or risk, it's important to have a consultation before scheduling any ablative laser treatment. We will be happy to discuss with you the pros, cons & recommendations for the best treatment to safely meet your goals. When an appointment is made for any laser resurfacing treatment, provide us with your pharmacy phone number and we'll call in prescriptions for pain medicine and possibly an anti-viral medication so you don't have to go to a pharmacy after your treatment. Depending on the area of the face treated, anesthesia may consist of a combination of a topical anesthetic cream, injected anesthetic, oral pain medicine, and an anti-anxiety medication, if desired. A full face procedure takes about an hour to perform but resurfacing of the eyes takes only about twenty minutes. A hot, stinging sensation will be experienced in areas where only topical anesthetic is used and cold compresses are applied afterwards for comfort. When the mouth area is treated, dental blocks make the laser treatment painless. At the completion of the laser resurfacing procedure the treated area is covered in a soothing ointment which is continued for the first few days at home. The treated area will feel sunburned and raw for the first few days and there will be some weeping and swelling of the treated area, depending on the depth of treatment. We'll provide you with the supplies you'll need in the first few days, including a mild cleanser, laser balm, gauze and even a disposable pillowcase. Redness in the treated areas lasts for weeks to even months occasionally, depending on the depth of treatment and your skin type. Post-resurfacing redness tends to last longest in people with very fair complexions. Green tinted concealers work to conceal redness best. Most patients can return to work and social activities about 6 days after facial laser resurfacing around the eyes, but the downtime for treatments around the mouth, where the skin is thicker, may require up to 10 days of recovery. Strict sun avoidance is necessary for at least 3 months after facial laser resurfacing and a professional skin care program is encouraged to maintain the results indefinitely. When old skin has been replaced with new skin, it's like turning back the clock. The new skin begins aging again at the same rate as before, but as if it was from an earlier age, with results that are visible for years. Prices for full field laser resurfacing start at $1,500 for a treatment above and below the eyes. 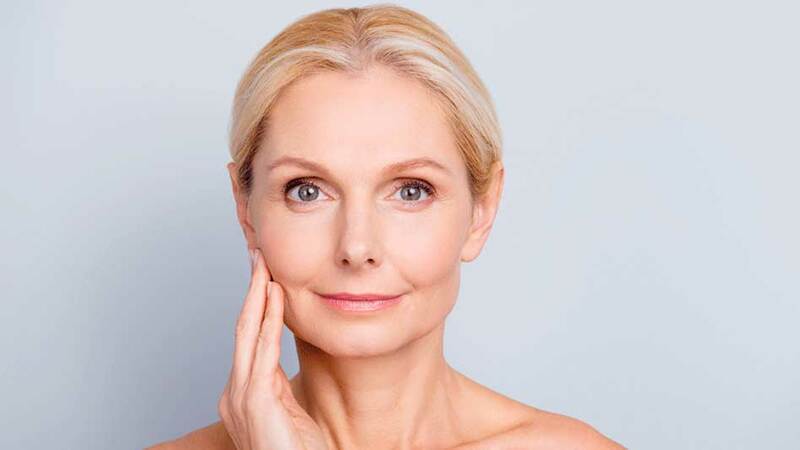 If you are interested in learning more about how Laser Skin Resurfacing treatments can improve your appearance, schedule a free skincare consultation by registering online here or by calling 727-571-1923.